I know this gun is nothing serious, and is probably not the best. This gun will be used alongside a Mark 23 (It will be my first skirmish) so this will be used only for a few skirmish, Just to see If I like the sport side of things. Just asking, has anybody had this gun? And will it serve me well for a few games? Please don't waste your money on that piece of junk, even a tatty old rental covered in electrical tape will run rings round it! Just rent for a few games and then buy something decent. £99 can get you a CM16 (Good M4), then you're gonna want £50 or so for mags, battery and charger, maybe a bit more! But that's airsoft! If you're just starting then most people here would suggest renting from your site. 1) The rental prices arent bad and usually include face protection and some kind of rig. 4) Whilst playing at your site, see if you can have a go or just look at the equipment other people are using. Get a feel for what you want before you go head first and just buy something. I'll take your advice and just rent. So you might not be able to buy one yourself, but it is perfectly legal to receive one as a gift, even if you're under 18... I think. Somebody will have to confirm that part with me. But if I'm right then as long as no money has been exchanged from you to the person gifting it to you. Then it's legal... Also the person buying the RIS needs to have a defense too! Otherwise the original purchase is illegal. You can't own a RIF Until your over 18. But you can recieve a two-tone as a gift under the age of 18. Reading through threads in the legal section it looks as if there is no problem owning an RIF under the age of 18 - but it must be purchsed by someone over 18 with a valid defence and then passed over as a gift. Thanks for the reply. What do you mean by A "Valid defence"? 'UKARA licence' is not a thing, it's just a misunderstanding of the rules that's spread like wild fire for some reason. In order to be able to purchase RIFs you need to be over 18 and have a defence against the 'ban' imposed on said replicas by the Violent Crime Reduction Act (VCRA). Getting your name on to the UKARA database is one way of proving that you're a skirmisher to retailers, it's not the way. So does that mean, That technically, Being 15, I could own a RIF? A 2 week old baby could own one, as long as it was given to him with no transfer of money. But you cannot buy, you need to be 18 and have a defence. Yes - you could own one at 15 but it would have to be given to you as a gift by someone who is over 18 and had the right to buy it. For most people on this site that probably means they are over 18 and skirmish at one or more registered sites. Your parents could buy you any gun in two-tone. Is the pistol shown in your posts yours? It looks like an RIF. A nice alternative you can do is to buy a Two tone painted rifle, (most places will paint the handguard/stock, and you can just purchase a new non painted stock and handguard and just put them on when you get to the site, and revert to the two tone parts when you leave just to be on the safe side. Yes, It's in two tone though. 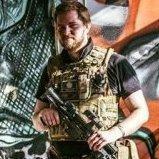 Do Airsoft sites sell guns? Quite a few sites do sell guns but they tend to have a limited choice of two-tones whereas several shops offer a painting service. Actually, the law regarding that is building from scratch, using replacement parts doesnt count as the manufacture. as with or without a defense manufacture of a rif is illegal, which mean that they would have to prohibit the sale of spare parts as it could be argued they are used to manufacture RIFs. Its a shady area indeed as alot of people interpret it differently, but ive spent many hours going over the legislation that cover this area, so you are safe to do as such, but like i said. So long as the original two tone parts of put back on the rifle during transport, and only the non painted parts used on private land (such as the sites you play on) then you are all good, as a UKARA isnt law, its just recommendation. so if you are going back and forth from an airsoft site that is defense enough to warrant the use and ownership of a RIF any way. I think I'll just play it safe. I'll just use a two-tone until I can get on the database. I could just wrap it in camo tape. The variable of the attitude of the cop, The variable of the judge. You can have a guy who understands what you do, who see's that you enjoy your hobby and understand the law, while you could also get a cop who has a zero tolerance for anything firearm related no matter of intentions and you could get a judge who feels the same and wants to make an example. Some site's shops allow you to buy an RIF from them to use at game days, but they keep hold of it after the day ends and don't let you leave with it until you have your defence sorted. If your site has a shop then that's something you could enquire about. But since you're... 15? You might get a bit tired of never being able to play around with it at home for 2/3 years lol. Thanks for that, Have you ever played at the Stan? Do they allow that?